Conventional wisdom said that Indiana Governor and Donald Trump running mate Mike Pence won Tuesday’s Vice-Presidential debate. Despite the fact that moderator Elaine Quijano and Hillary Clinton VP pick Sen. Tim Kaine kept hitting Pence with things that Trump’s said and he constantly denied, Pence was deemed the victor because he looked smooth as silk while refusing to acknowledge the things his Presidential candidate has been caught on the record saying. 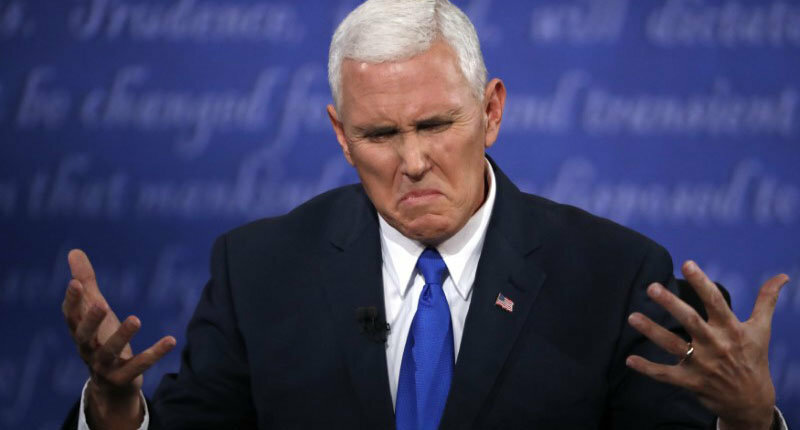 In hindsight though, it would have been nice if Quijano and Kaine had focused on Pence’s own record as a politician, because in a great many not insignificant ways, Pence is a much worse candidate than Trump.